Data.gov is the central clearinghouse for federal open data, including hosting the Public Data Listings required under the 2013 Federal Open Data Policy, but Data.gov also hosts state, local, and tribal government sources voluntarily. As of this writing Data.gov has the open data catalogs of 10 cities, 3 counties, and 8 states open data catalogs piped to Data.gov, in addition to many local geospatial data sources, but we know there are many more open data catalogs out there! A data.json file (this is likely built into your open data catalog, but an open data catalog is not required, see www.data.gov/faq). With those two items, Data.gov can set up nightly harvests that will automatically update Data.gov with your local data. Local governments should get their data on Data.gov first and foremost because it will help make local open data more discoverable, but also because it supports a minimal metadata standard across local open data efforts, can help identify emergent data trends and standards (like the US City Open Data Census) across local governments, and because it shows the international open data community how active the United States is! To all local government officials, we would love to hear from you and connect your government data to Data.gov as soon as possible. As always, If you have any questions, you can reach out to datagov@gsa.gov. 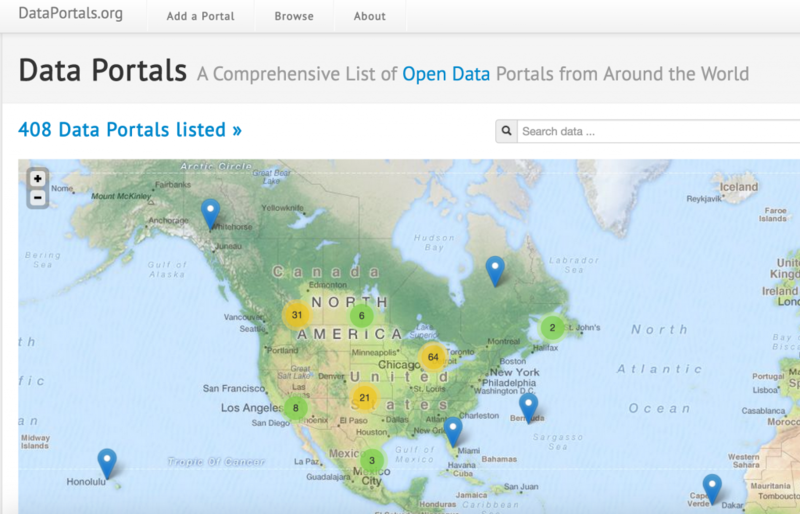 Add your local government open data today by visiting https://www.data.gov/local/add. I am amazed at the availability of data, so that we can hold public officials of accountability.